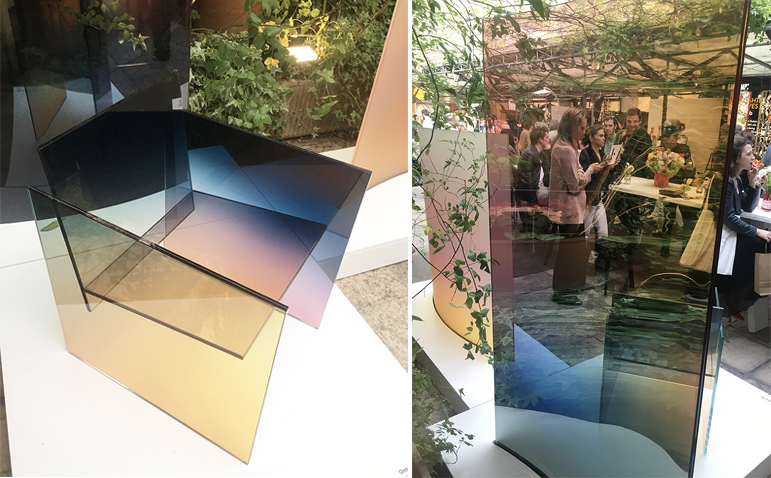 This edition of Milan Design Week was really interesting and full of amazing exhibitions! I decided to start my report with the main trends of this year, the first of all it was definitely a return to the color and testing it through different materials. 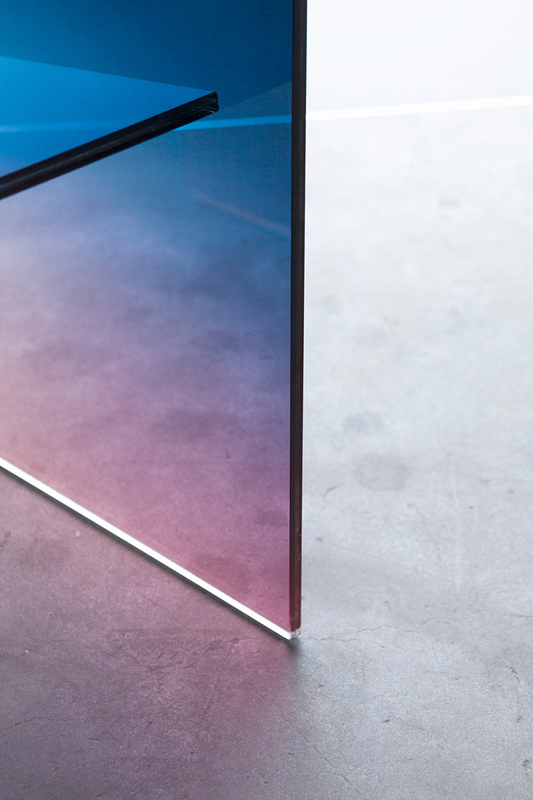 In particular the spectrum of colors has often been associated with the transparency so as to obtain an iridescent and bright effect. 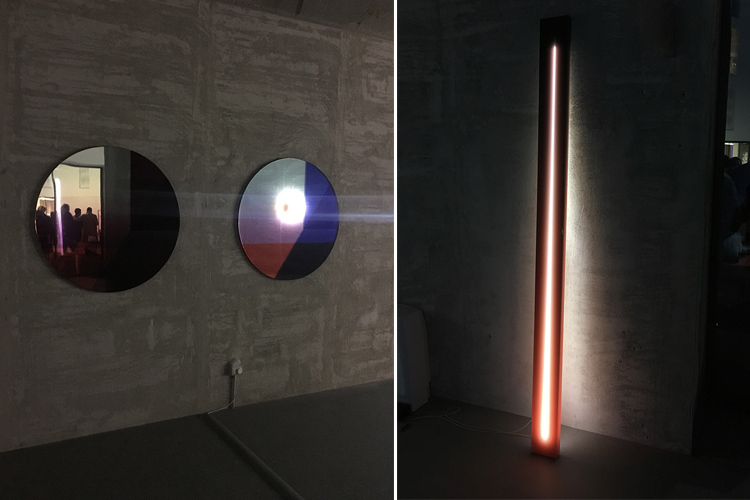 The Italian design-duo Studio Formafantasma presented “Foundation”, a series of experiments with lights and bright objects from their “Delta” collection. 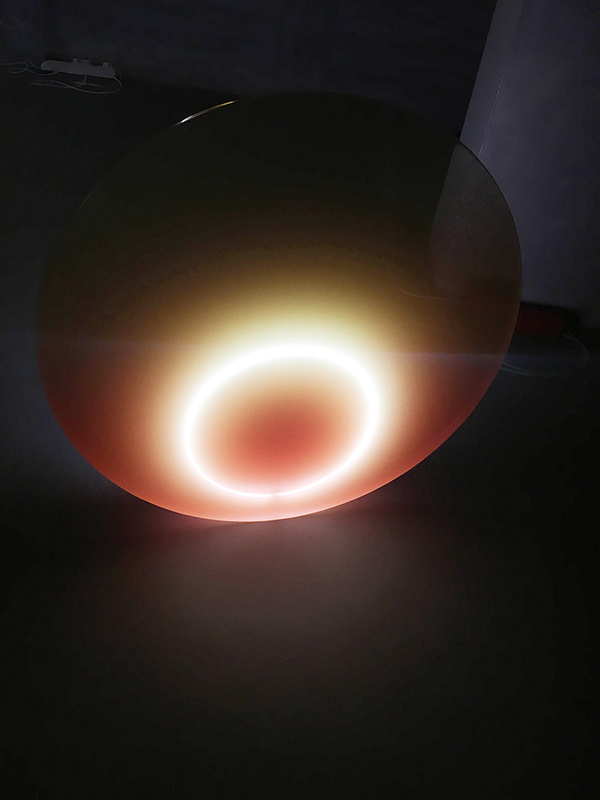 The light’s experiments were presented as real chronologically numbered Tests: designed as three-dimensional sketches these Tests are instinctively and using standard industrial materials. 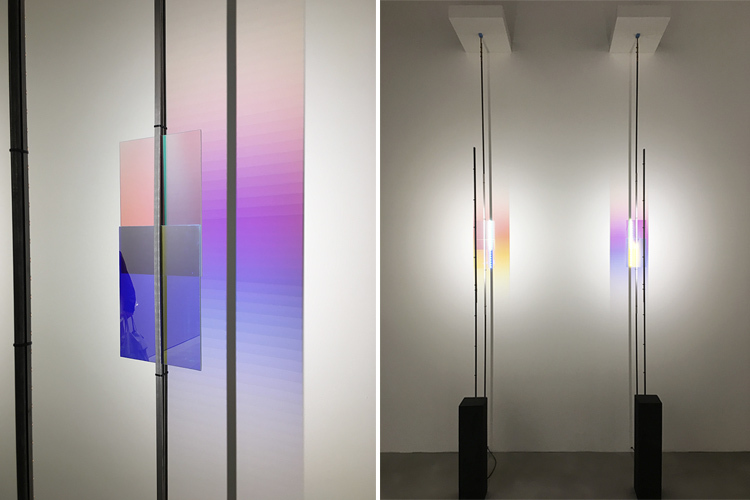 Led stripes are visible and unfiltered so the result is a meticulous investigation into the components of light- reflection, colour, shadow, space- and the use of optics, mirror and glass top shape it. I loved this beautiful project for the studio’s focus on rethinking object typologies throughout material investigation! In the amazing Palazzo Crespi at Porta Venezia area, the brand Swarovski presents its second homeware collection “Atelier Swarovski Home” formed by functionals and decorative table-top objects, home accessories and gift which all have a strong focus on combining crystal with others materials like marble,metals and resin. Here are the items that I liked more! 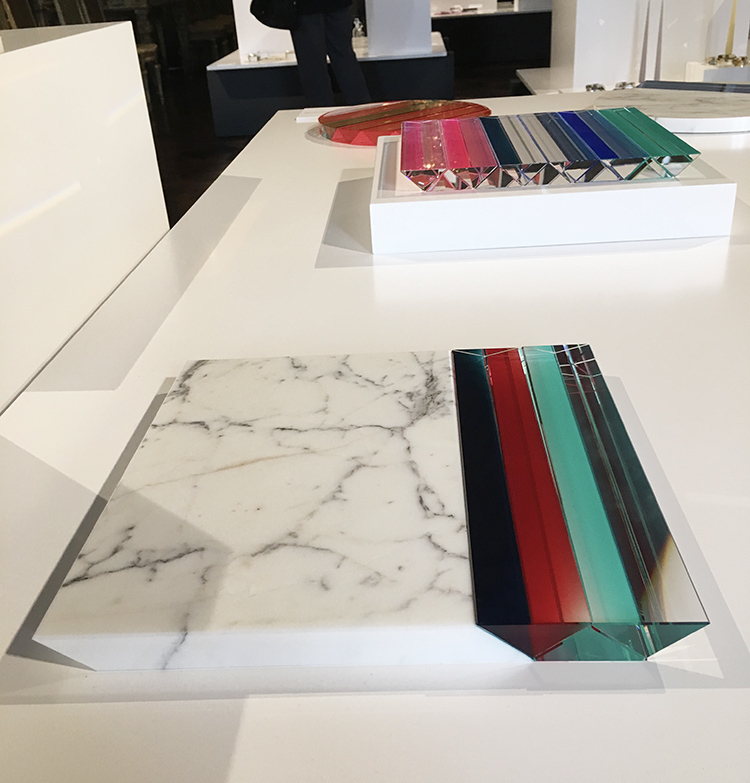 “Prism” collection by Tomas Alonso is a perfect balance between crystal and marble! 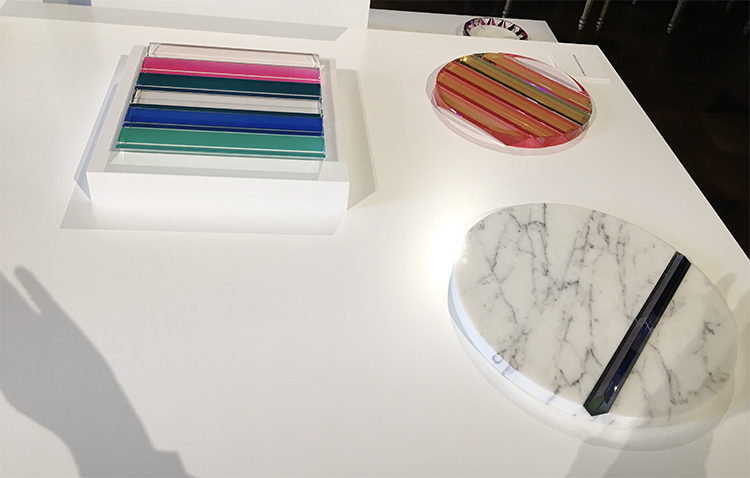 Alonso presents a collection of contemporary trays, based on the 47-degree cutting angle used to optimize refraction of light. Eye-catching crystal prism with jewel-like coatings are set with marble base, creating an array of fascinating light effects. 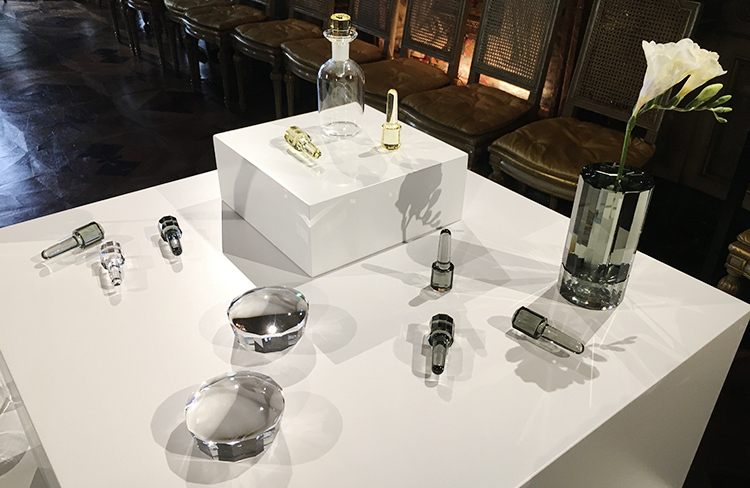 Aldo Bakker presents a series of stylish crystal objects including bottle stoppers, playful paperweight lenses and handheld magnifiers. In his objects the color is emphasized by the crystal and purity of form. 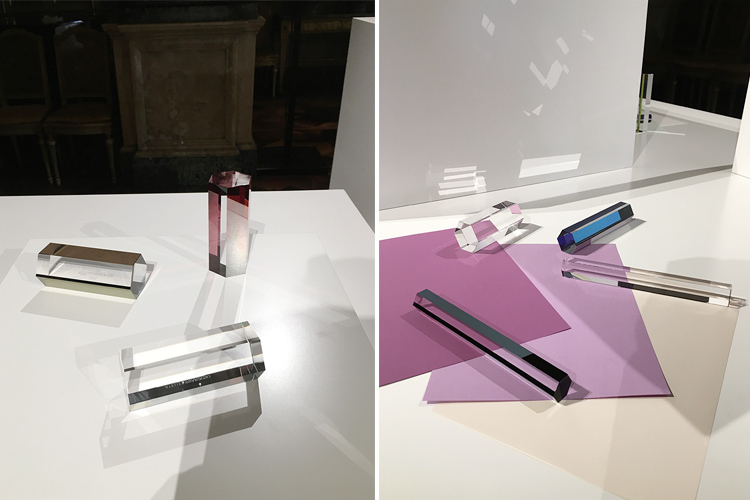 “Currents” by Studio Brynjar & Veronika are a trio od pure-crystal paperweights in diverting hues. 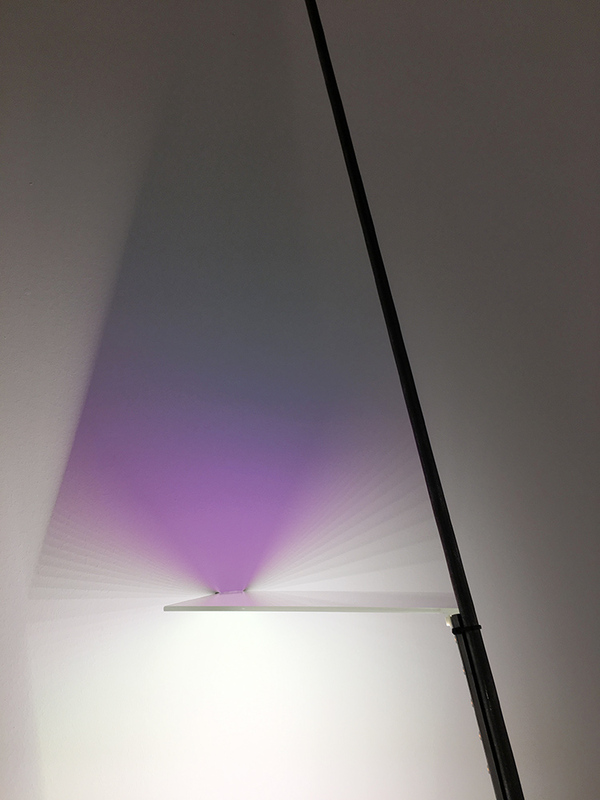 The sleek polygons disperse light in a play of prismatic reflections. 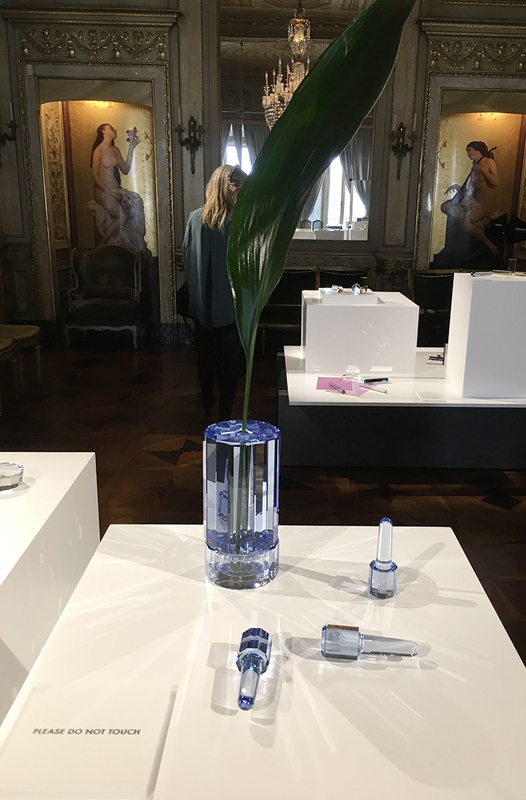 At Galleria Rossana Orlandi I found one of the designers who had struck me in the edition of 2016, Germans Ermics. 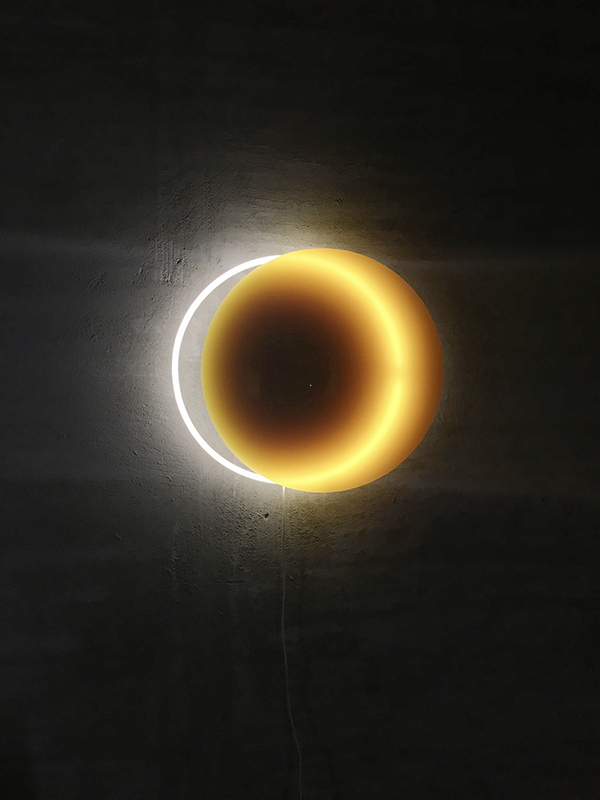 His creations are a mix of sculptural objects and light poems! This year he presents the Ombrè glass chair and the Horizon screens. The first is a tribute to designer Shiro Kuramata and his iconic Glass Chair (1976). Formed solely from planes of clear glass (an homage to Piet Mondrian and the De Stijl artists), the chair’s solid state seems to dissolve. Almost invisible, these planes, without tangible support, hang in the air. 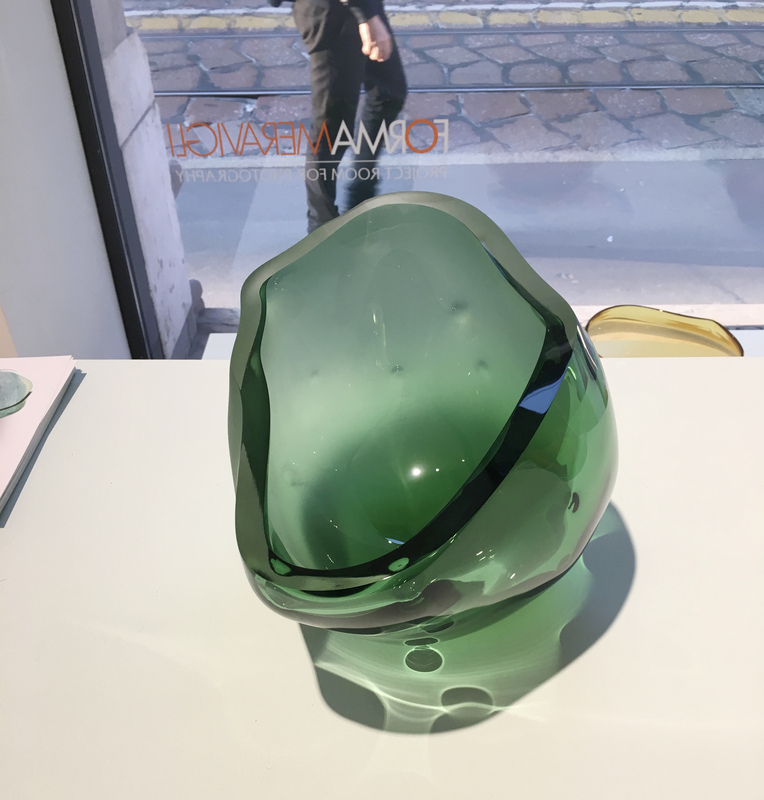 For the second edition of “Ladies and Gentlemen” show, curated by Secondome and PS Design Consultant at #14 of via Cesare Correnti, Secondome presents an ArtDesign collection named “Unplugged”. 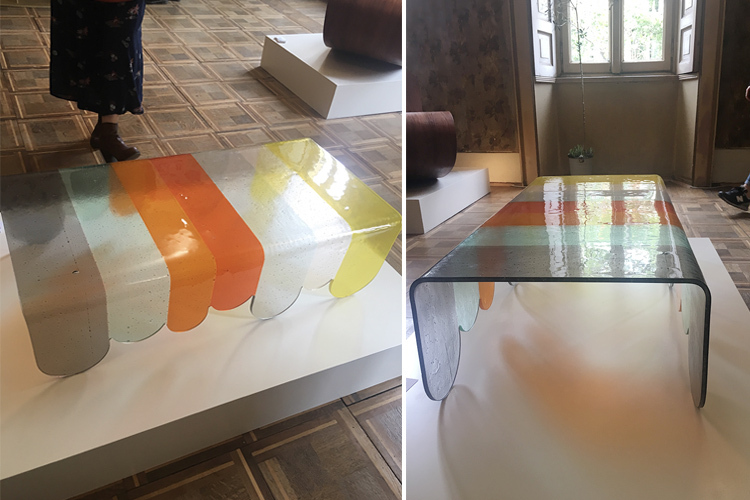 Thanks to a new glass fusion technique, Alessandro Zambelli creates the “Lunapark” coffee table. 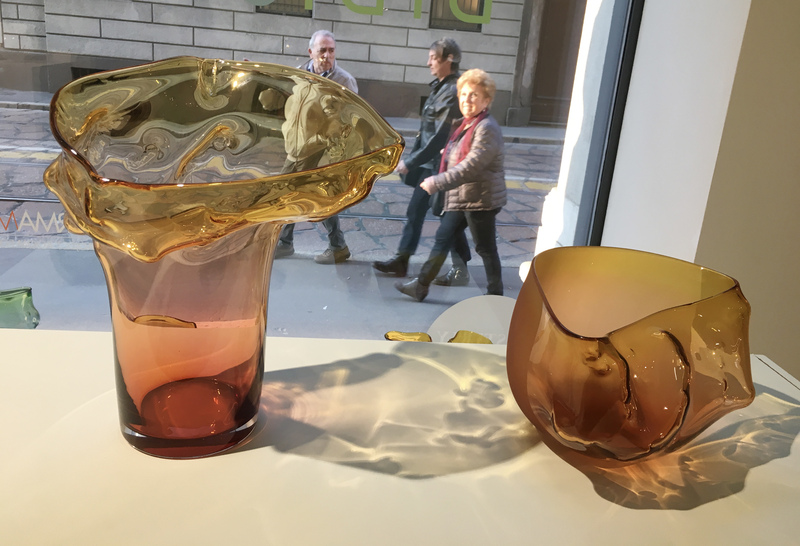 Within the Dutch Pavillion at Palazzo Turati (5vie district) stands the work of glass designer and glass artist Bibi Smit. Taking much of her inspiration directly from the property of the hot and fluid glass, she has a unique way to capture the suggestion of movement. 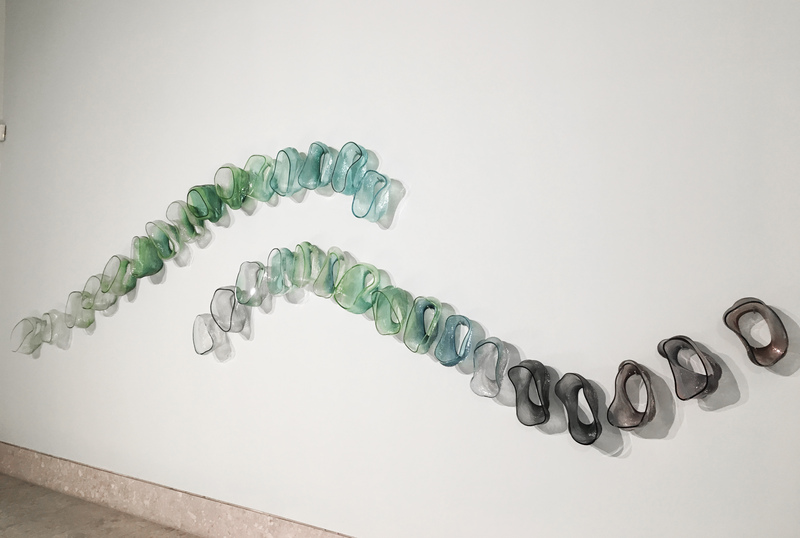 “Ripples” is an original wall-mounted glass installation created from a ripetitive rhythm of soft glass forms, light reflections and changing colors. 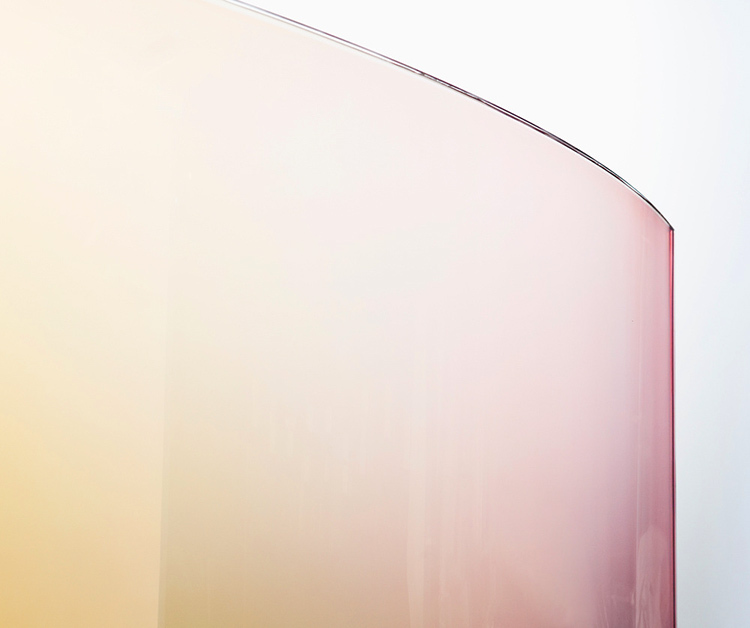 In her vases-sculptures are a unique research in glass processing and color gradation! 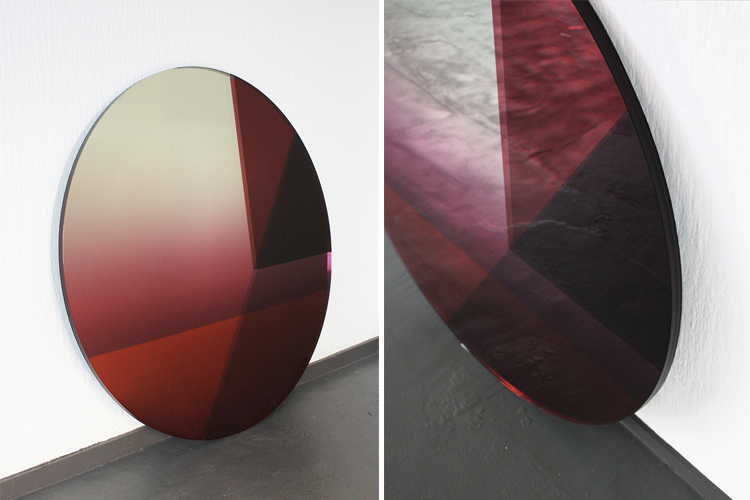 The ‘Dawn’ light series by Sabine Marcelis is an exploration of the relationship between light and colour inspired by a time in the day where the sun, clouds and sky join to create a momentary riot of hues. 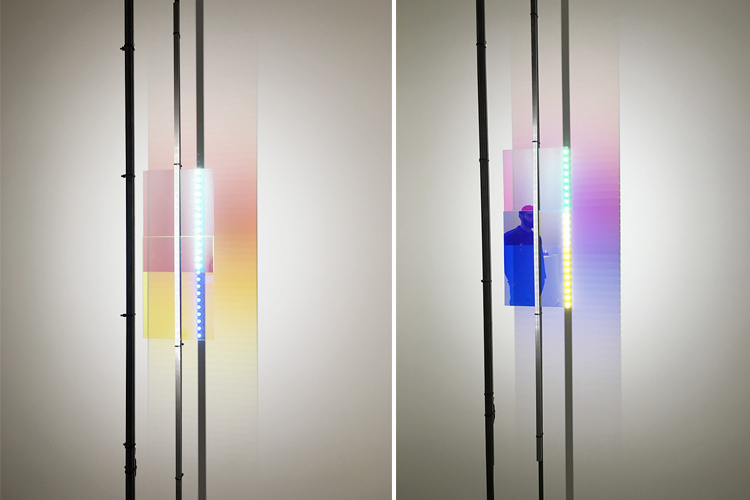 Playing with the relationship between light, colour, transparency and saturation, the ‘Dawn’ series utilizes a single white neon tube embedded in cast resin to highlight the subtle manipulation of colour and its intersection with light. 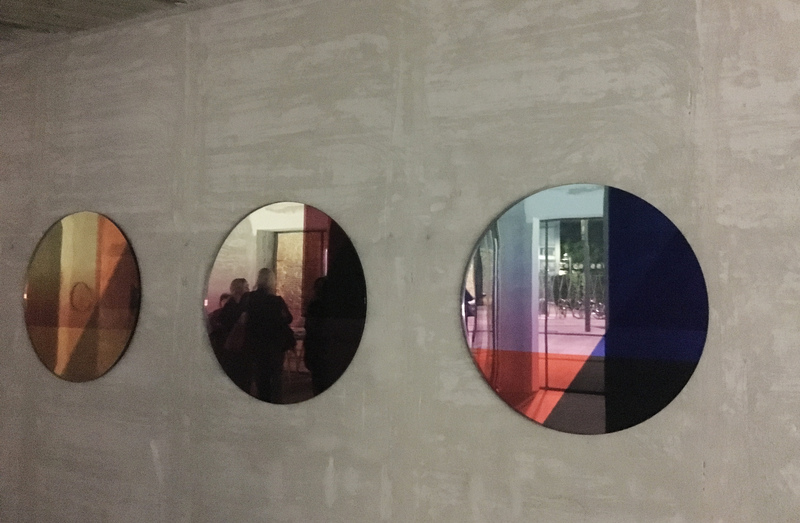 The “Big Round” mirror is part of Seeing glass series and utilises several layers of glass which sandwich a selection of colour foils to create a play of colour and depth within the reflective surface.